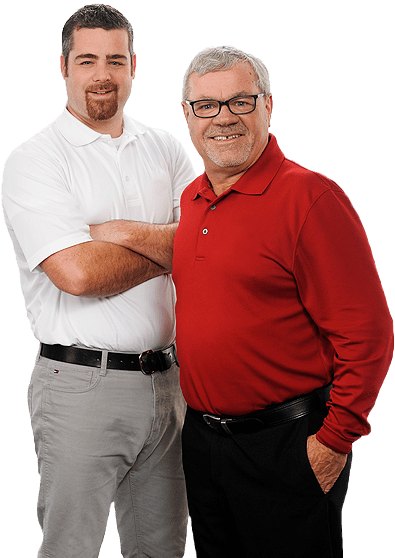 Rob and Barry are Top Real Estate Agents who list and sell Real Estate in Hampton, Quispamsis, Rothesay, Kingston, Saint John, and surrounding areas of southern New Brunswick. Whether you are a First Time Home Buyer, a For Sale by Owner, or someone who has been through the process many times, we will work to make your real estate transaction as stress free as possible. Rob and Barry are a father and son team who were born and raised in the area. Their vast knowledge in the Real Estate Market, the geographical area, and the general “way of life”, will pay huge dividends in your favor when you have them represent you. If you are selling and need some Home Selling Tips….we have Home Selling Tips. If you are buying, and need Home Buying Tips….we have Home Buying Tips. We sell both MLS Listings and Exclusive listings, and at any one time, we have a large selection of Houses for Sale throughout the Greater Saint John and surrounding areas, some of which you will not find on MLS. If you are looking for a Real Estate Broker that will work hard to find your dream home, or market the sale of your home through the latest tools and technologies, like Drone photography and Social Media Marketing…..look no further. Come back to our page on a regular basis where you will find it very convenient to search Real Estate Listings in the categories of: Our Listings, Office Listings, All MLS Listings, Waterfront Listings, and Luxury Home Listings. Your MLS Real Estate Listings search could not be any easier. Rob and Barry are Top Producing Agents, and hard working full time REALTORS. Barry’s additional experience as a Real Estate Broker, along with designations he has earned as a Seniors Real Estate Specialists and an e-Pro designation (for online marketing)…….along with membership to the Luxury Home Marketing Institute is sure to help provide a smooth property transaction for you. Barry also holds a certificate in good standing with Transport Canada as a Drone Pilot which gives them a huge advantage in selling your home. This in conjunction with Robs experience in home construction and negotiation, make them REALTORS of choice. Rob and Barry have great office support from their full time assistant Brittany, who helps manage their Real Estate Listings, search for Houses For Sale, searching for Home Sellers Tips and Home Buyers Tips, and also manages the teams Social Media Marketing Campaigns. So if you are looking for Houses For Sale in Hampton, Houses For sale in Qisipamsis, Houses For sale in Rothesay, Houses For Sale in Saint John, or Houses For sale in Kingston….call us first! If you are a First Time Home Buyer, a For Sale by Owner seller, or just looking to downsize….call us first! We can also set you up in our system to receive Real Estate Listings by email as new MLS Listings come on the market….call us today! Even if you are just looking for Home Buying Tips, or Home Selling Tips, we would love to hear from you.